Erik Buell will remain chairman and CEO of Erik Buell Racing after Hero MotoCorp of India acquires nearly half the company. Hero said. The investment is through Hero’s newly incorporated, wholly owned American subsidiary. Hero, based in New Delhi, India, has invested $15 million already, with the remaining $10 million proposed to be invested within nine months. Hero and EBR formed a strategic alliance last year, under which Hero receives technology and design support to develop future models. EBR specializes in designing and manufacturing sport bikes. The investment will not result in organizational changes at EBR. Erik Buell will remain chairman and CEO, Hero said. But the EBR board will now have two directors and one observer from Hero. Buell is a former Harley-Davidson Inc. engineer who founded Buell Motorcycle Co. in 1983. Milwaukee-based Harley bought controlling interest in Buell’s original company in 1998 but closed it in 2009 during the recession as part of a massive restructuring and strategic shift under then-new CEO Keith Wandell. Erik Buell Racing, which Buell founded in November 2009, has been using part of the old Buell Motorcycle space in East Troy to build racing-style motorcycles. 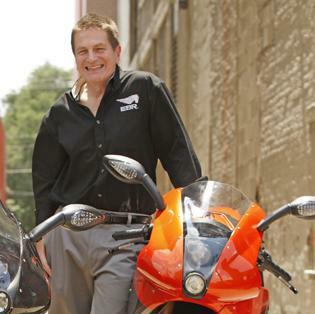 He secured $20 million from foreign investors to launch a new line of sport bikes and generate 200 new jobs, The Business Journal reported in July 2012. Hero is currently the world’s most prolific motorcycle manufacturer, with reports of 5.9 million units during the past fiscal year (April 2012 – March 2013). It produces small-displacement mounts for the high-volume Indian market. The next-highest volume manufacturer in India is Honda Motorcycle & Scooter India (HMSI) at 2.6 million units sold and Bajaj at 2.5 million units. The Indian firm was formerly known as Hero Honda – a successful joint venture established with Honda in 1984. The two parts sundered the JV agreement in 2010, with Honda focusing development on HMSI – its wholly-owned subsidiary. Hero bought out Honda’s share, while retaining license to produce some of Honda’s existing product. The end of the JV agreement allows Hero to export models, which had been prohibited, with aggressive plans claimed for international expansion. Hero had previously announced a strategic alliance with EBR. Buell contributed design assistance for the Leap gas/electric hybrid scooter. Hero technicians have also been a part of the EBR AMA American SuperBike squad, with Hero a major sponsor for the EBR racing program since the 2012 season.